Dane County ARES/RACES is located in Dane County, Wisconsin. We belong to the Wisconsin ARES/RACES Southwest district. 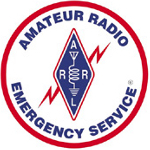 ARES, or Amateur Radio Emergency Service, is organized by the ARRL. 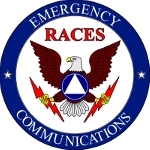 RACES, or Radio Amateur Civil Emergency Service, was created by the FCC and is administered by Federal Emergency Management Agency (FEMA). Differences between ARES and RACES are outlined here. In Wisconsin, ARES and RACES are combined into one group. We provide communications support for Dane County Emergency Management by staffing the radio room in the emergency operations center and assisting with weather-related activations (in cooperation with MidWest SSTRC) and any other communications-based activations. We also support the five Dane County hospitals, each of which have a ham radio station which can be staffed by Dane County ARES/RACES members to provide a communications link to other hospitals, the county EOC, and other areas of interest. Any amateur radio operator that's interested in joining our group can get more information by contacting us, checking into the weekly radio net, or attending any of our monthly general membership meetings.